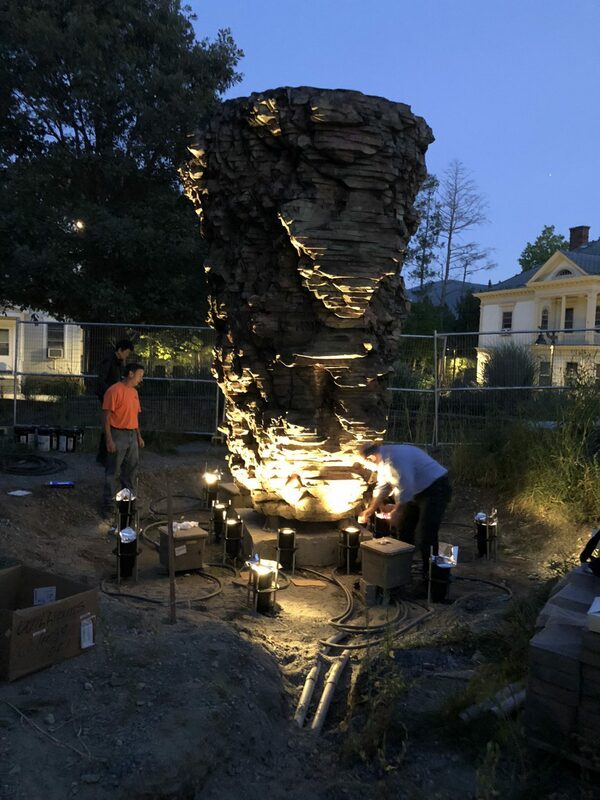 Recently, our design team worked with artist Ursula von Rydingsvard and our lighting consultant Available Light to install lighting around the ‘Large Bowl’ sculpture at Williams College. 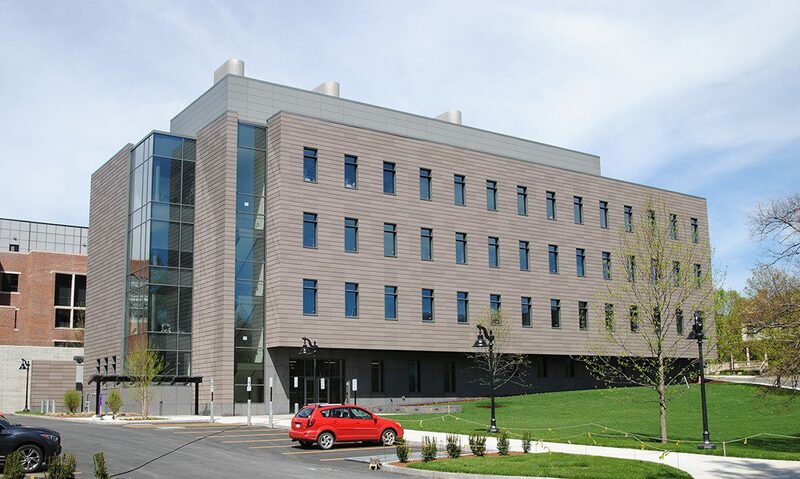 The sculpture sits in the center of the new Morley Plaza just outside of the entrance to the recently completed Science South Building. Previously in the middle of a paved cul-de-sac near the Astronomy Department, the sculpture was unlit to prevent interference with the telescopes in use, but this reduced the sculpture’s visibility. We redesigned the landscape using pavers, benches and plantings to create a pedestrian friendly space to better experience the sculpture. 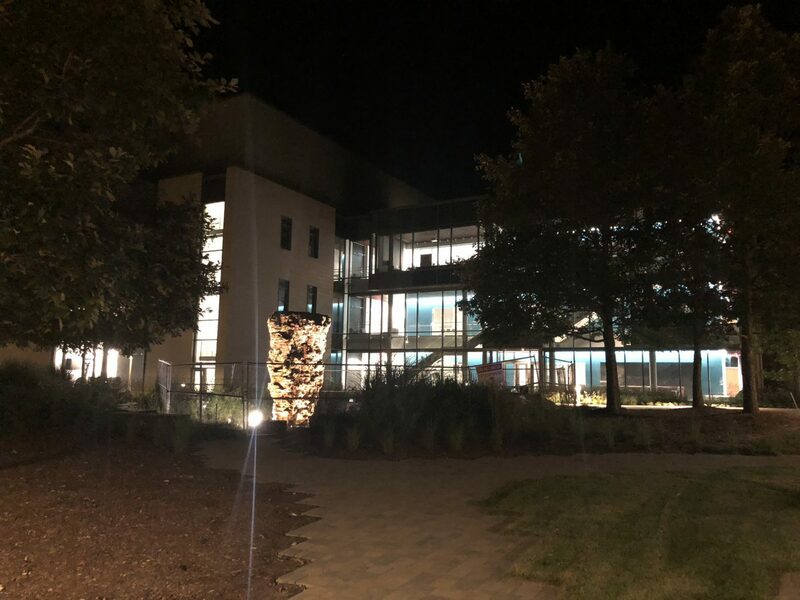 Working alongside Available Light, we developed a lighting system that would illuminate the sculpture while also accommodating the Astronomy Department. The system now has a control system which can be altered while the telescopes are in use. By working together with the University and the entire design team, the Williams College community can now enjoy the pedestrian friendly landscape while admiring the Large Bowl sculpture.